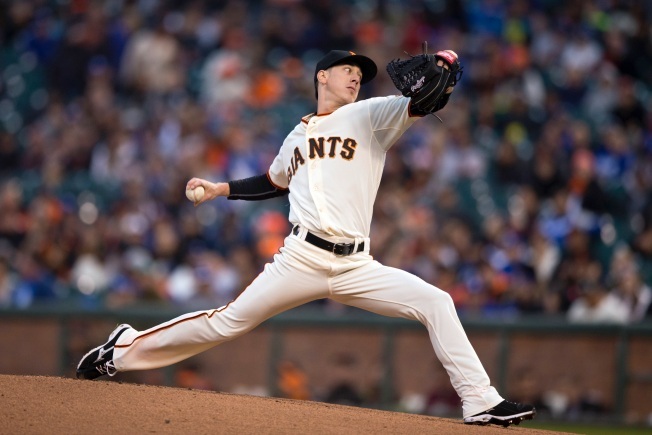 The flowing long hair and herky-jerky, corkscrew delivery could be considered trademarks for San Francisco pitcher Tim Lincecum, but he probably won't be a Giants uniform anymore. Lincecum, who has seen his role change from ace to bullpen swing man in an alarmingly short period of time, is a free agent and is trying to drum up interest for his services by holding a workout for MLB execs later this month, and several reports say Rangers GM Jon Daniels will be in attendance. The Rangers have made it know they're still searching for depth for their rotation if it is on the cheaper end of things, and Lincecum would almost certainly qualify there as his production has dropped off significantly as the injuries have piled up. Lincecum is plenty decorated, as he's only one of two pitchers in history to win multiple World Series, multiple Cy Young Awards, throw multiple no-hitters and pitch in multiple All-Star Games. His velocity is nowhere near the dominant run of 2007-2010, but there could be something left. Lots of people, including Daniels, will find out soon enough.